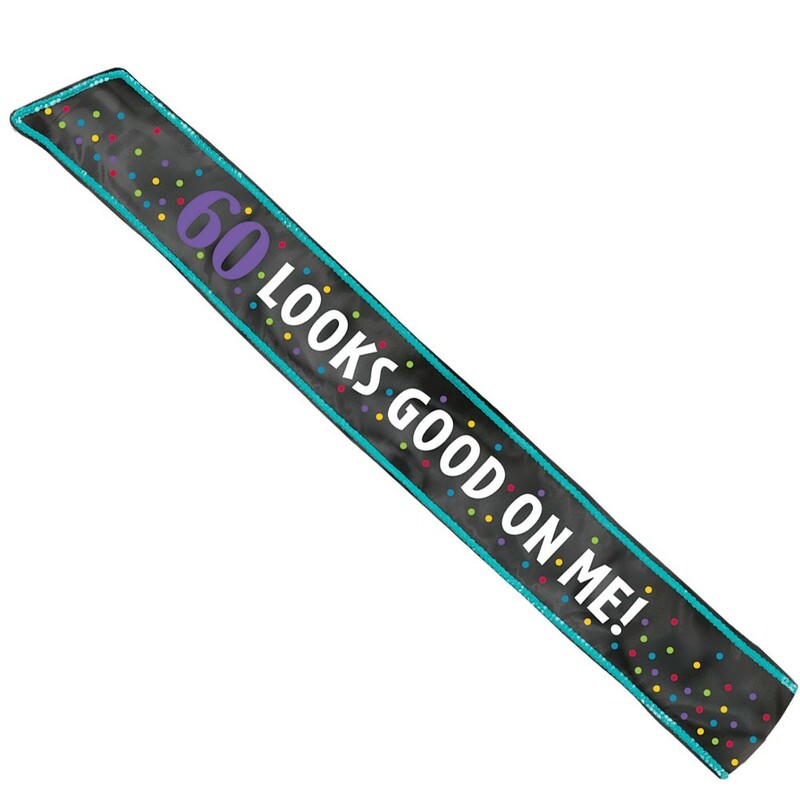 60th Birthday Sash – Quality sash measuring 1.5m. 60th Birthday Sash – Quality black sash measuring 1.5m. This 60th Birthday Sash is perfect for anyone who wants everyone to know it’s their 60th birthday and it may be the perfect present for those who don’t! 1 x 60th Birthday Sash.